Dagger is one of the Carnies at Noahs Ark Circus, his Circus trick is a knife Thrower, he never misses his target and uses this to fight. 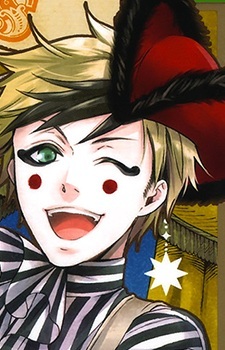 When Ciel joins the Circus as Smile, Dagger helps train him up. Dagger keeps a cheery mood thoughout the manga. He is closest with Joker and has a not-so-secret attraction to Beast, who makes it obvious that she prefers Joker.